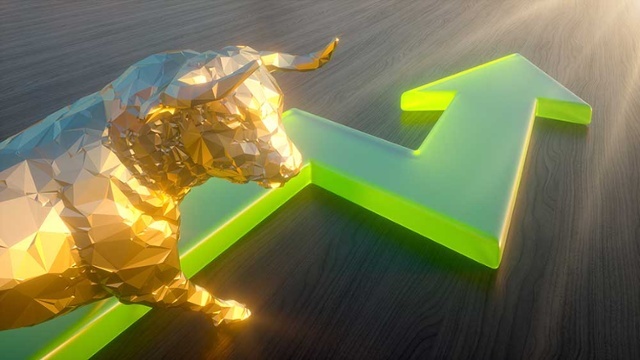 Political turmoil was not able to derail market momentum in May as the three major market indices continued on their upward trajectory. Delayed passage of stimulus driven legislation is reducing inflation expectations as markets anticipate an extended low rate environment. The Federal Reserve Bank of Atlanta’s closely watched GDPNow forecast model is predicting second quarter economic growth of 3.4% growth, a generous number. The equity market’s rise is broad with small, mid, and large capitalization stocks all rising in tandem, a healthy dynamic as noted by most analysts. As inflation expectations have fallen, the equity markets have been rising in hopes of a slower process of increasing rates by the Fed. Globally, the price of commodities such as iron ore, copper and oil have fallen since the beginning of the year. A weaker dollar is also buoying emerging markets as their currencies rise to fend off inflationary pressures in emerging market economies. Changes in banking rules and regulations may be in the air as the Trump Administration made its first major regulatory change, replacing the head of the Comptroller of the Currency, the banking industry’s primary regulatory entity. The Republican led House of Representatives voted to repeal and replace the ACA (Affordable Care Act) with the American Health Care Act of 2017. The Act must now pass through the Senate in order to initiate any healthcare mandate changes. Congressional leaders reached a bipartisan agreement to fund the U.S. government through September. The omnibus spending measure provides nearly $1.2 trillion of funds until leaders meet again in the fall to formalize longer term spending provisions. The Treasury department is exploring the issuance of longer term bonds maturing in 50 and 100 years. Current ultra low rates encourage debt issuance for longer periods of time. Puerto Rico sought court protection in the largest ever U.S. municipality bankruptcy, owing over $72 billion to creditors, including Puerto Rican municipal bond holders. Detroit’s bankruptcy in 2013 amounted to $18 billion, which at the time was considered the largest municipality to go bankrupt. Moody’s & S&P credit rating agencies both downgraded the credit quality of Illinois state municipal bonds to one notch above junk status, giving it the lowest rating of all 50 states. Illinois state legislators’ impasse on passing a budget and spending cuts led to the downgrades. The Fiduciary Rule goes into effect on June 9 after being postponed two months from its original effective date of April 10, 2017. Created by the Department of Labor two years ago, the Department’s definition of a fiduciary demands that advisors act in the best interests of their clients and to put their clients' interests above their own. It leaves no room for advisors to conceal any potential conflict of interest, and states that all fees and commissions must be clearly disclosed in dollar form to clients. All affected financial institutions will have until January 1, 2018 to fully comply.